Touring is a word which, as applied to skiing, has ceased to have much meaning. 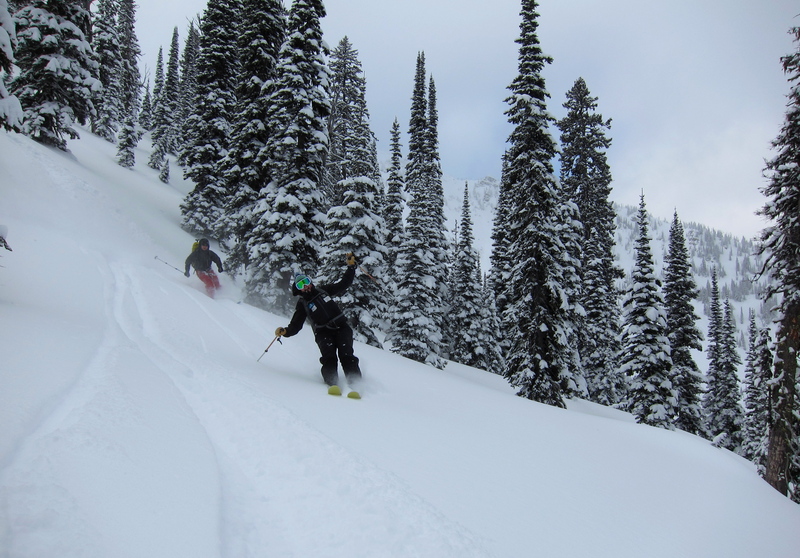 Everything from a 14 day traverse to an afternoon skinning off the lifts is touring. One, this is silly. Two, it reinforces groomed activities as skiing’s default. I prefer to restrict touring to when I’m actually going somewhere, when the purpose of the outing is not just to ski, but to see stuff. This was a tour by default. Up the road, up the trail, and then further up the trail. Across the lake. We were all alone by then. Recent weather had been a mixed blessing. Lots of snow had fallen, but the precipitous temperature drop which had brought it encouraged a poor bond with the icy crusts onto which it fell. On any wind-loaded aspect we saw abundant small, natural, slab releases. Tough trail breaking usually equals good skiing. And the skiing was superb. Just steep enough to be both fun and safe. Dropping south into the unknown, we found more great snow and terrain. From there it was a matter of slipping out the trail down to the road, and skating back to the lodge for a beer. 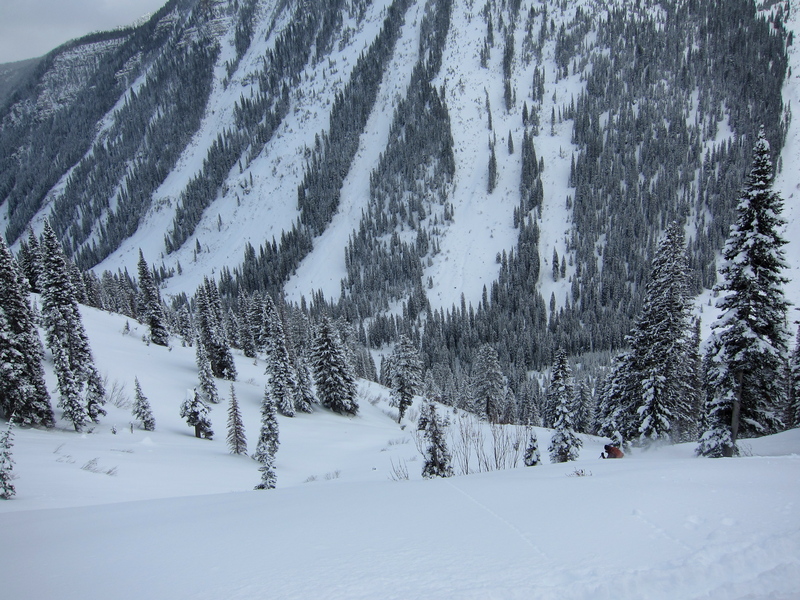 It was the complete backcountry skiing experience. Skiing is a fickle creature. While days like this one convince you (or at least me) that you’re actually a decent skier and that the whole thing is worthwhile, there will also be another day, and soon, when conditions don’t get matched with destination, skills take a holiday, and the frustration is endless. Not infrequently do I think about selling my AT gear and retiring to nordic skiing for ever. 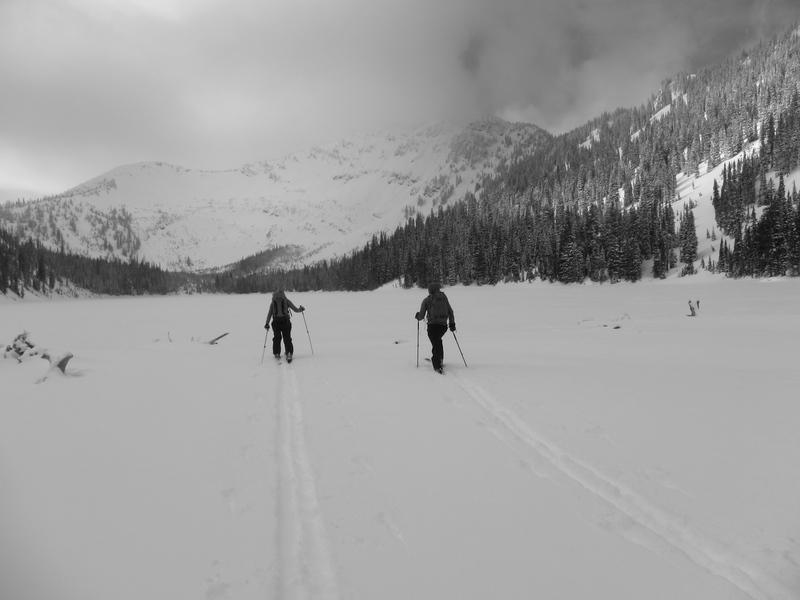 The reason I don’t, and likely won’t, is that backcountry skiing is probably the ultimate incarnation of human-powered backcountry travel. The learning curve is steep and the skill barrier is extensive and multi-faceted. All of which guarantees rich satisfaction provided you have the patience to do it right. 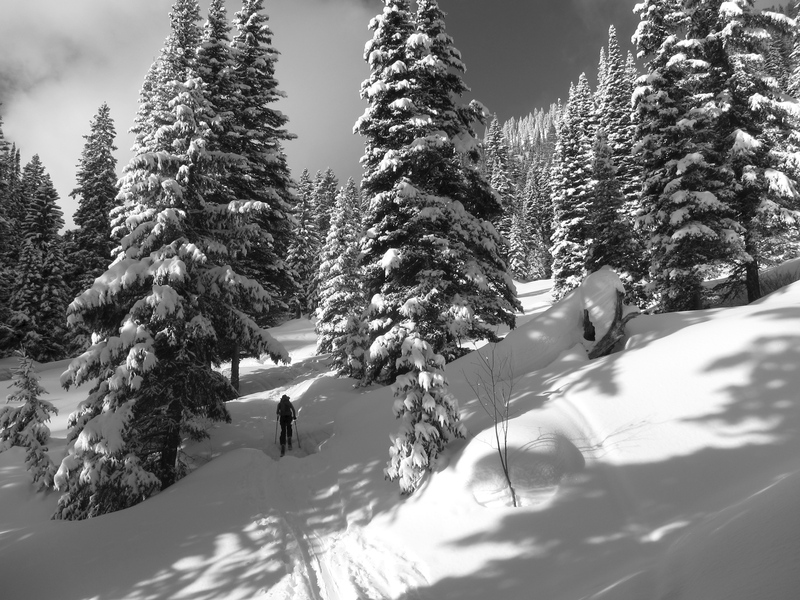 The kinaesthetic rewards of good backcountry skiing are simply unmatched, it is not possible to have a more gleefully free yet intimate experience moving over the land. 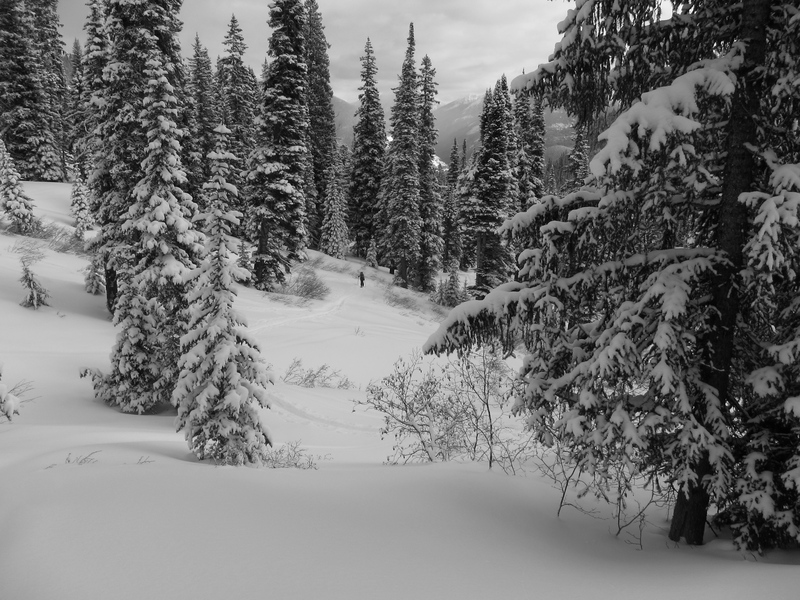 Most significantly, backcountry skiing goes into the heart of the wild, when the least forgiving places are at their least hospitable. The effort can be huge, and the safety concerns immense, and often unanswerable. This has been the crux of my own frustration with the discipline; as never before have I accumulated so many hours out doing and still not felt well qualified to assess risk. In backcountry skiing, the price for entry into the big places is sky high, at least it is for someone as cautious as I am. So for the foreseeable future I resign myself to getting slowly better, growing towards the ever-present goal of having more and more places open to my skills and vision. 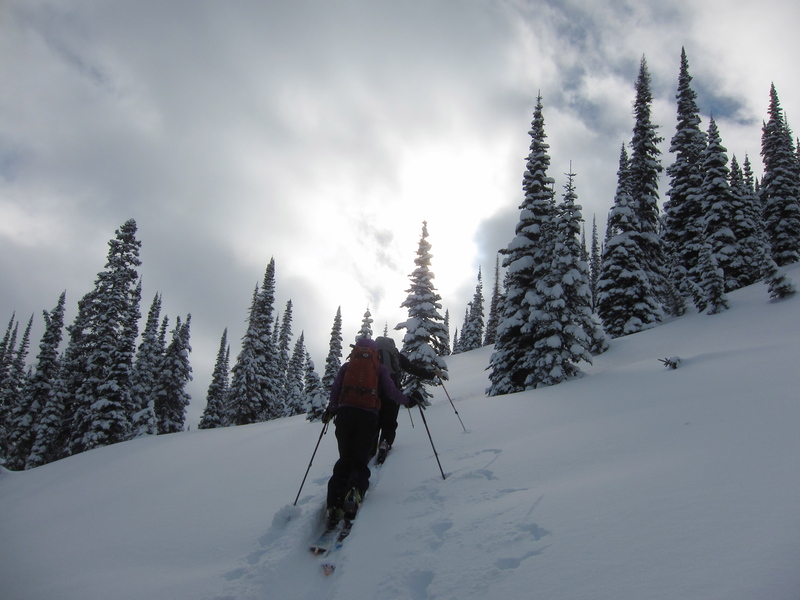 Also, backcountry skiing (or lightweight touring) can be costly from both a safety and an equipment standpoint. I too have found the learning curve to be steep. That looks like my kind of tour. That is exactly why I got into skiing. You could do the same thing with snow shoes, but it would be a lot harder and take a lot longer (although you would fall down less). Speaking of which, I think I could do that with Nordic Gear (albeit BC Nordic gear). A lot depends on the conditions. I would probably fall down on some of the steep stuff (unless the snow was great) but have really happy feet the rest of the day. Fatter nordic gear would have got the job done for sure. I’m not a good enough skier to do more than survival skiing with that gear on the descents we skied, which takes a bit of the fun out. Rolling parts on the exit had me wishing for scales. Skinning up, which I eventually did, was not the most efficient option. 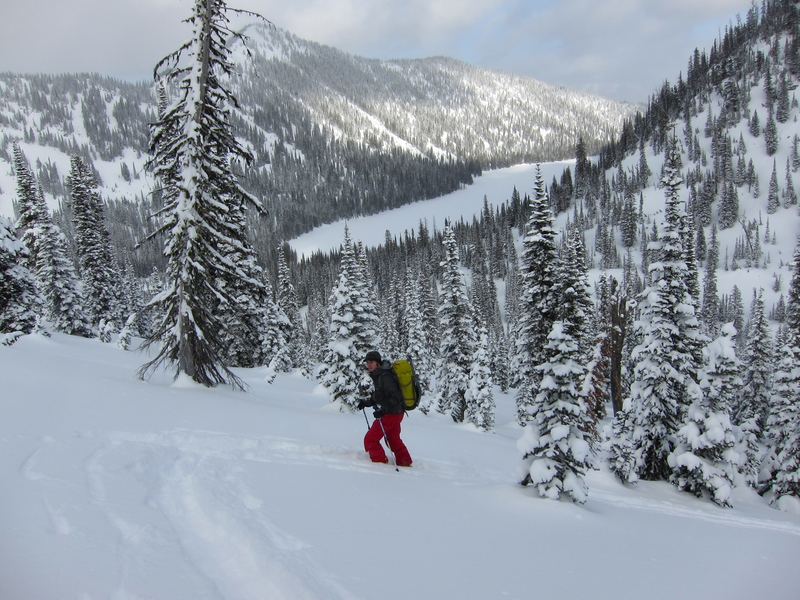 I absolutely love backcountry skiing. I am slowly learning and growing in the sport as well, and one of the things I really like about it is – as you say – there is so much depth there. 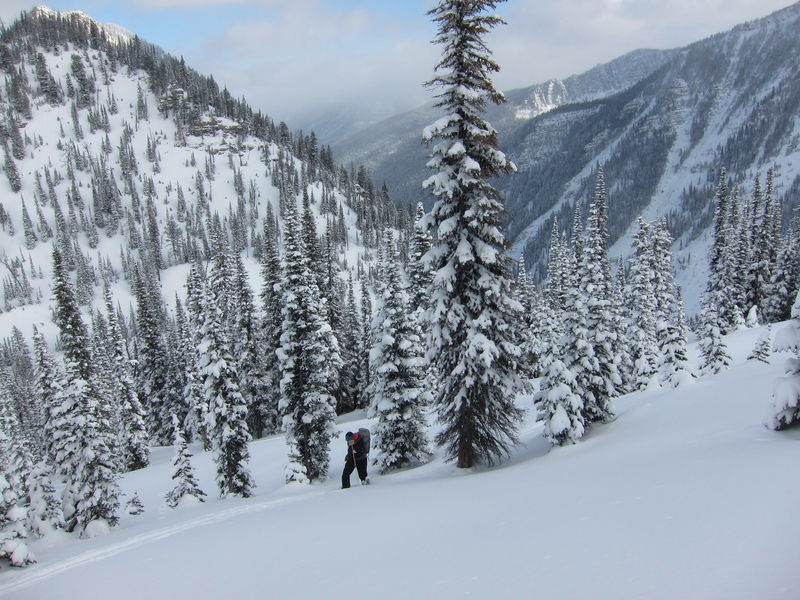 You can start out easy and gradually build your way up to more interesting and challenging things, while enjoying the outdoors and getting powder highs along the way. We have been progressing as a family. My kids sometimes complain on the up, but all it takes is one incredible day when everything comes together (as it did this last weekend for us), and everyone can’t wait until the next outing. Looks outstanding. I originally found your blog through your review of the Altai Hoks, and this trip sounded like something they would have handled pretty well. Sounds like you went with a different setup though? I just got a pair of Hoks and am always curious as to what others use (or don’t use) them for. In many respects I’ve outgrown the Hoks by becoming a better skier. The 145s were also quite a bit softer than the 125 protos I tested, and that was a disappointment. I have an old pair of Trak Bushwackers for ‘schwacking now. The Hoks would have managed this just fine. They would have required a lower angled skintrack in places, and not been as fast/fun on the descents. Makes sense. I’m just getting back into skiing after about 15 years off and the Hoks seem a good fit for my area and ability. Did you end up finding the Voile bindings and Scarpa boot combo good compliments to the skis? I’m making do with heavy Asolo hiking boots and the XTrace bindings, but I think I could use the rigidity of something more substantial. Voile Mountaineers and something in the T4-old T2 spectrum is ideal. beautiful photos and loved the re-telling of your trip. OUr family is falling in love with backcountry skiing and I will say that awesome snow days really help.